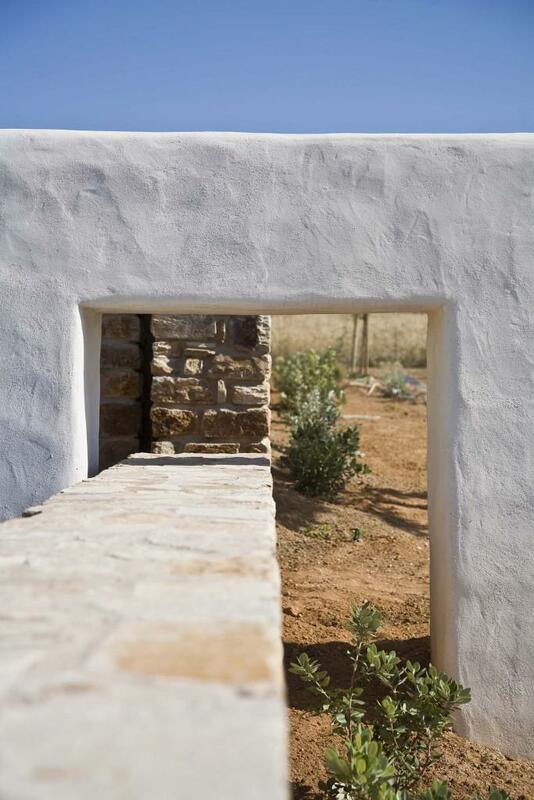 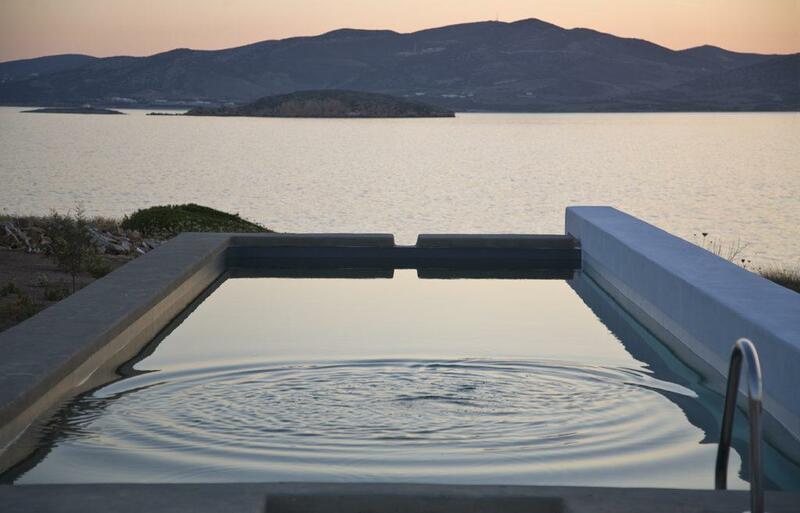 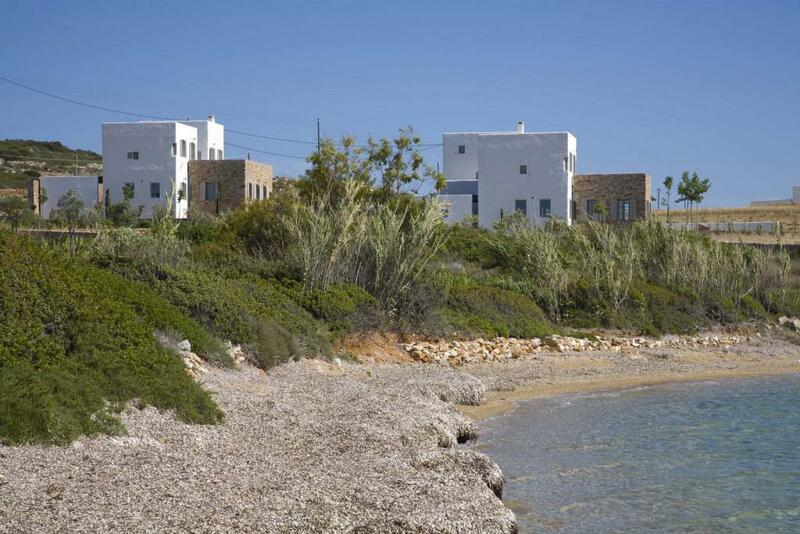 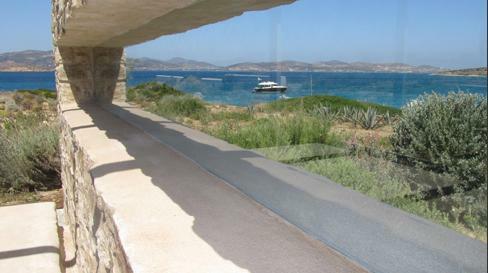 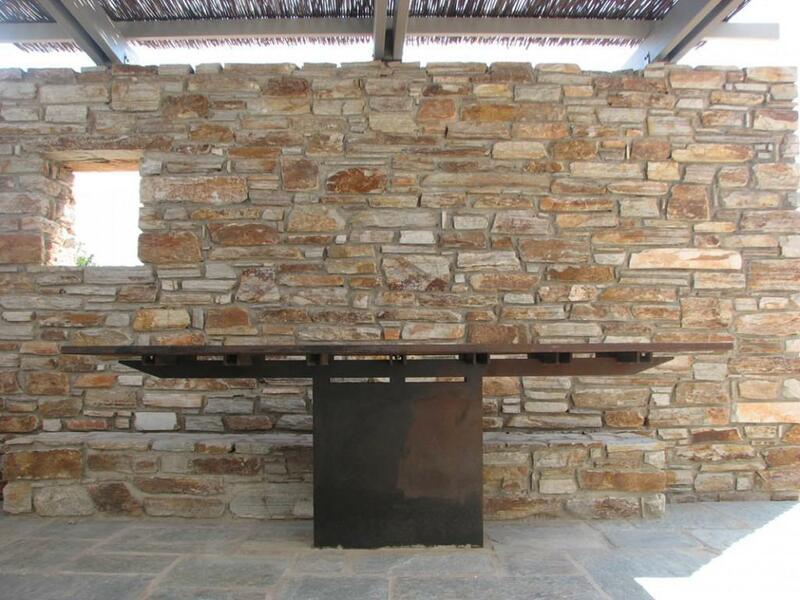 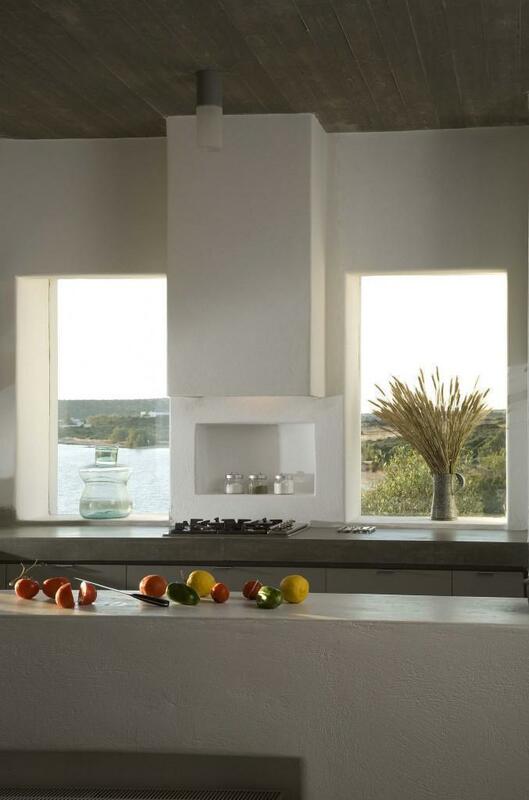 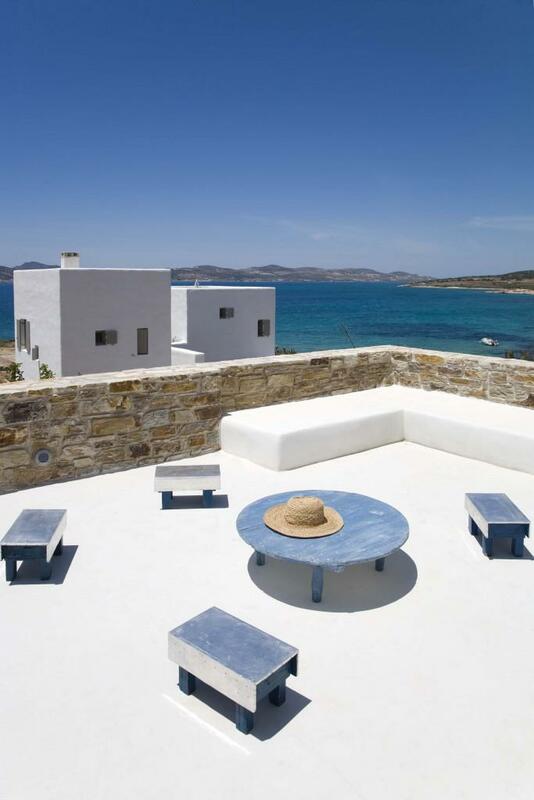 The two residences on the island of Paros are inspired by Cycladic architecture, but are interpreted with a contemporary and minimal aesthetic and the use of industrial material. 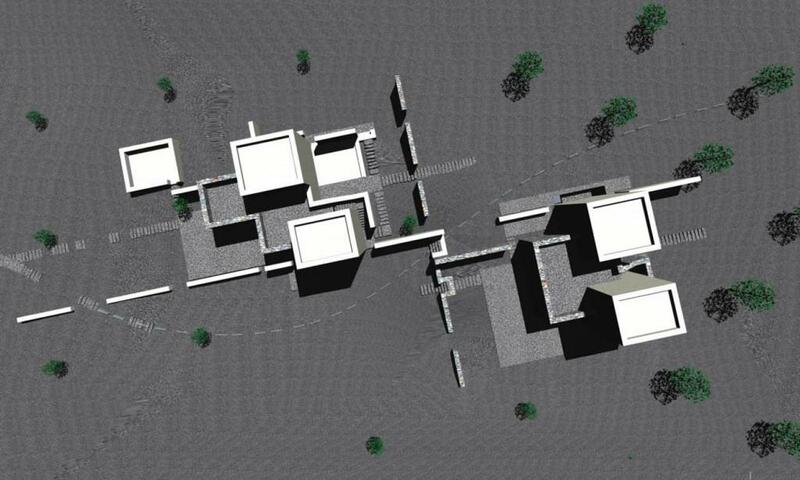 The site is cross-sectioned into four areas by stone-and-plaster walls. 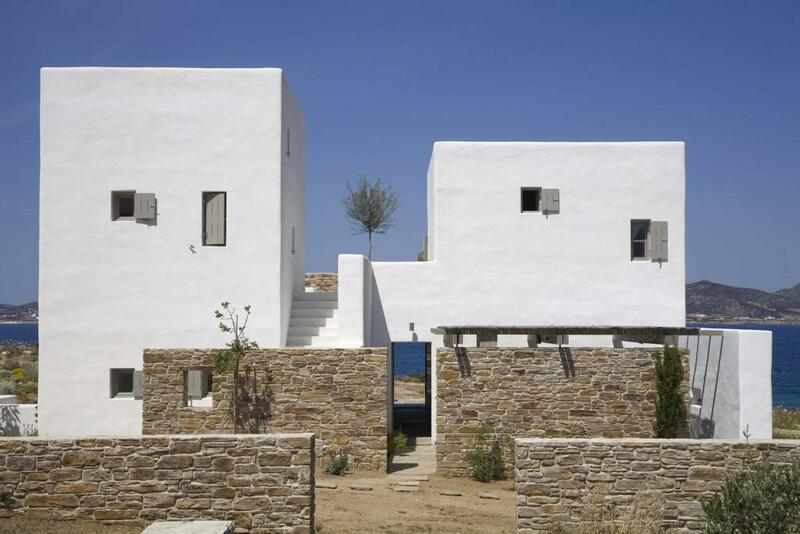 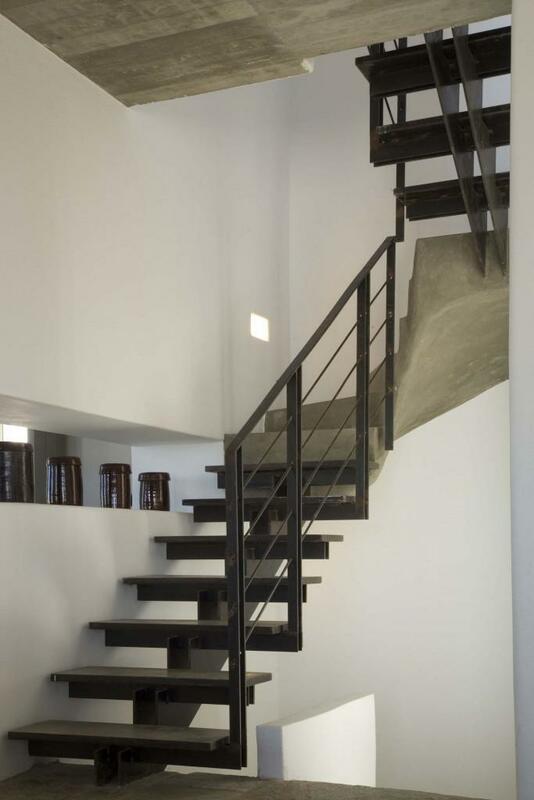 As these walls gradually become higher, they are absorbed seamlessly into the construction of the two houses, which are situated diagonally opposite each other on the site. 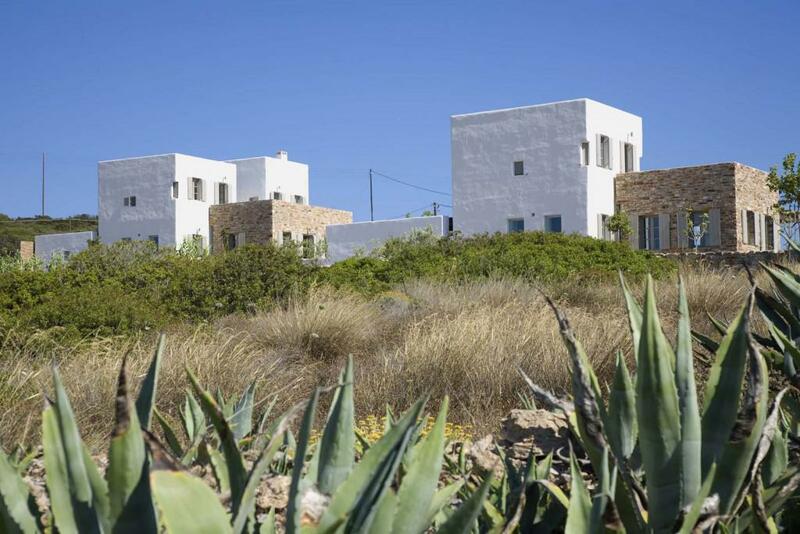 The remaining areas contain sitting spaces, a long lap pool and indigenous planting.